We are dedicated to offering our patients the best service and care to ensure they feel right at home starting with their first visit. Children, teens and adults alike are all welcome to schedule a complimentary screening at either of our locations in Troy and Ballston Lake. Throughout the appointment we encourage you to ask questions and will address any concerns you may have. During your complimentary screening, you will meet with a New Patient Coordinator who will complete a full series of digital photographs and any digital x-rays as needed. You will then receive a thorough clinical examination by Dr. Cooney. After we discuss your individual findings and goals, we will give you a full explanation of our recommendations with all treatment options as well as financial opportunities available to you. Get all the answers you need to make the right decision. Our experienced team is committed to making sure you feel well informed throughout your orthodontic treatment process. If at any time you have a question please give us a call at 518-274-4322. Though an orthodontist can enhance a smile at any age, there is an optimal time period to begin treatment. Beginning treatment at this time ensures the greatest result with the most efficient use of your time. The American Association of Orthodontists recommends that the initial orthodontic evaluation should occur at the first sign of orthodontic problems or no later than age 7. 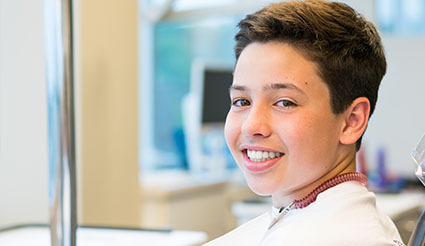 At this early age, orthodontic treatment may not be necessary, but vigilant examination can anticipate the most advantageous time to begin treatment while catching any complications that may be developing in the future. Your initial appointment will consist of a full series of digital photographs and any digital x-rays as needed. You will then receive a thorough clinical examination by Dr. Cooney. A full discussion and explanation of our findings, treatment options and alternatives will be presented. This appointment takes approximately one hour and is provided at no cost to you. During the initial examination for each patient we will address any questions you may have and cover the basics of orthodontic treatment. Members of our staff will be also able to discuss scheduling and financial arrangements with you. What is the Complimentary Tracking Program? We offer a complimentary tracking program for patients who are not yet in the ideal dental situation for treatment. The patient is seen on a regular and consistent basis in our active observation program. This allows us to identify the most ideal time to initiate treatment in the future while ongoing growth, development, and eruption are closely and professionally monitored. 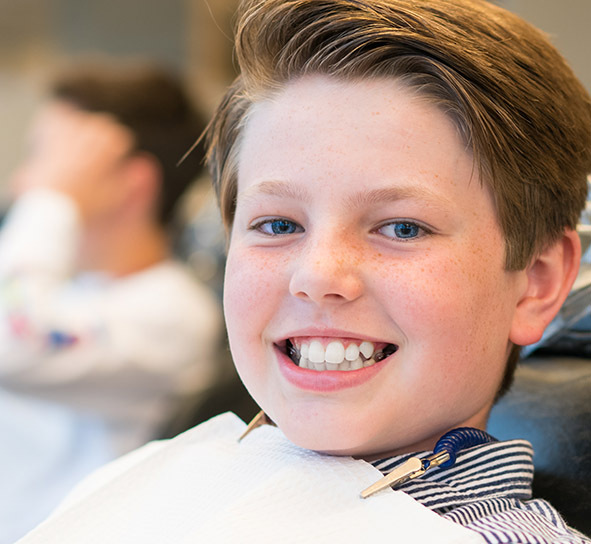 As with our initial screening appointments, active observation and monitoring of your child’s ongoing orthodontic needs is a complimentary service we have offered our patients and their general dentists for over 50 years. Early evaluation provides both timely detection of problems that may arise in the future and greater opportunity for more effective treatment. Prudent intervention guides growth and development, preventing potentially serious problems later. When orthodontic intervention is not essential at that time, an orthodontist can carefully monitor growth and development to begin treatment when it is ideal. Due to the fact that everyone’s biology and dental situations are varied, treatment times will be different for each patient. We will be able give you an estimated treatment time prescribed specifically for you during the initial screening appointment. What are common orthodontic problems? We offer a variety of options when it comes to getting a more ideal smile. Many times, different types of appliances may be necessary prior to or in conjunction with braces systems. For our bracket systems, we offer conventional metal brackets as well as less noticeable clear ceramic brackets. We are also an Elite Provider for the Invisalign clear aligner system. All these systems can get you the results you’re looking for depending on which option works best with your lifestyle. We will thoroughly discuss which options will be most advantageous for you at your initial screening. We are not a direct participator with insurance companies, though we do accept assignment of benefits if they are available through your plan. We offer many financial options on in addition to any insurance assignment benefit including lower down payments and customizable payment options. All financial options with be discussed and given to you at the initial consult. Give your child a lifetime of healthy smiles by evaluating their need for treatment early. Though an orthodontist can enhance a smile at any age, there is an optimal time period to begin treatment. Beginning treatment at the right time ensures the greatest result with a more efficient use of your time. Take advantage of your child’s growth by seeking orthodontic treatment to help align their bite and teeth in a proper position. The most common period for treatment is between the ages of 11 and 15, where confidence and positive self-esteem can help your teen be successful. It is never too late to improve your greatest asset…your smile! 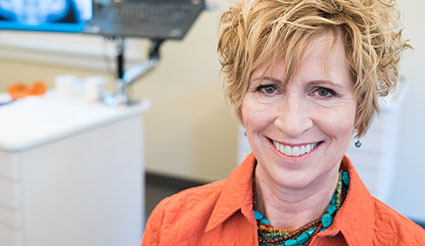 With new techniques, appliances, and technology advances, we can greatly reduce discomfort levels, decrease the frequency of visits, shorten treatment time, and allow you to choose from a variety of options that fit your lifestyle while dramatically boosting your dental health and overall wellness. With Invisalign® you'll get the beautiful straight teeth you've always wanted without wires and brackets. Hardly anyone will know that you’re straightening your teeth with these virtually undetectable, removable aligners. Invisalign® is a series of clear aligners that straighten your teeth without the usual noticeable, bulky materials involved with traditional braces. Request your complimentary screening today! The team & Dr. Cooney are smart, funny, caring & exciting! With Invisalign my friends couldn't even tell I was wearing my aligners...it was great! You're going to get the smile you always wanted at Cooney Orthodontics! We provide the highest quality orthodontic care from two convenient locations in Troy & Ballston Lake, New York. Get exclusive news about upcoming contests and community events. © 2019 COONEY ORTHODONTICS. All rights reserved.